It was early June, 1992, and we found ourselves roasting under a blazing tropical sun in Ocho Rios, Jamaica; down for what would quickly dissolve into an artistically undernourished weeklong 2nd Annual Ocho Rios jazz festival. Days were schedule empty; nights barely filled with passable jam sessions, yet you could sense urgency in festival organizer Sonny Bradshaw’s quest to embed jazz in the nation’s conscience. There was big history, but little recognition. This restless contingent of music journalists and photographers began grumbling. We were anticipating a schedule ripe with rich cultural experiences but ended up pleading for a much welcomed reprieve from the oppressive humidity and terminal boredom. Anyone who’s ever been to Jamaica understands the island is one large Bob Marley emporium; in fact, the country’s name could be changed to the Isle of Marley. 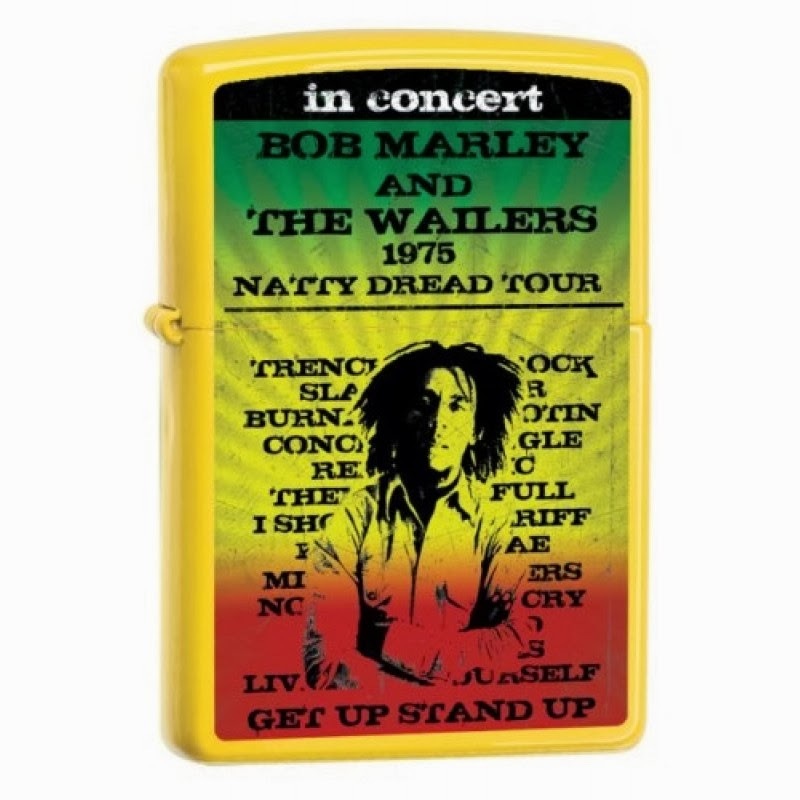 There isn’t a moment in the day when a Marley artifact or factoid isn’t presented in some form or another; from carved ashtrays to football flags, to folkloric tales of close encounters with the great one. 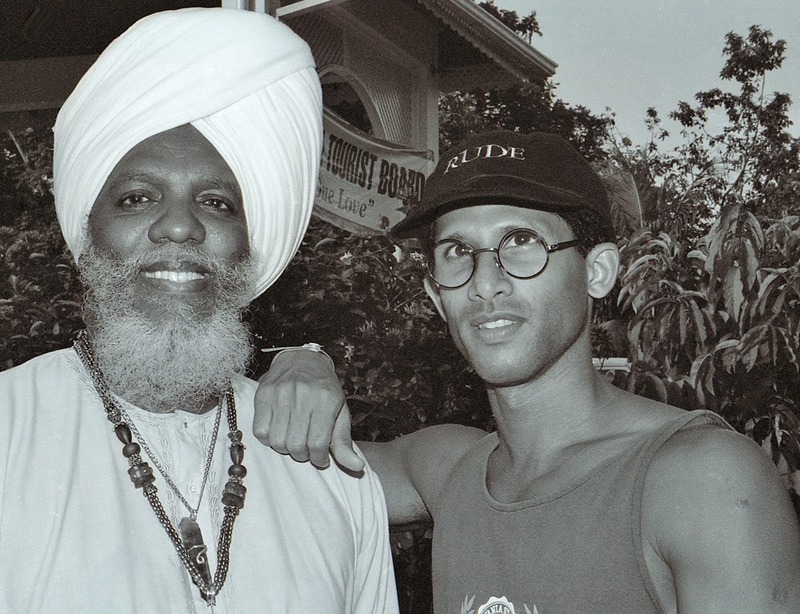 Try filling seats to a jazz giant like Dr. Lonnie Smith concert in a reggae/dance hall zone. Tough call! Jamaica Tourism reacted swiftly to our request and booked us passage to scenic Dunn River Falls, a rafting trip down the Martha Brae River; a spooky session with the White Witch of Rose Hall, and trip to Marleyville. Upon arriving at Dunn River Falls, my partner Kristine and I quickly stumble down a water-cooled stairwell of slippery rocks to the base of the falls, then plant ourselves beneath the over-reaching rapids and desperately try to downgrade body temperature. Then it was run-the-gauntlet time - another dash past vendors specializing in the deal of the past century. Rafting the Martha Brae River located in Trelawny Parish on the north coast was a glorious turn of events. Kristine and I reclined on a bamboo raft while our guide poked a hand-carved pole against the river bed and addressed every visible plant as he pushed us along. We coasted under a blue sky shaded by the leaves and flowers of all spice, pimento, Blue Mahoe, Siam Roses, wax palms, orchids, African tulip trees; at peace with the planet until a massive thud interrupts us and the snooty lens of a Polaroid camera appears in front of our faces. “Take your picture for five dollars,” asks a man standing mid-stream. The heavenly peace was now broken and forever crippled as we drift past barking salesmen pedaling Red Stripe beer, carved-out canoe replicas, plantation dolls, and the ever present wooden Bob Marley ash tray. The scene in or near moving water was surreal. The drive through the mountains was most invigorating. The higher the elevation, the lower the temperature. The roads were narrow and frightening yet the landscape was epic reaching to the distant horizon. We were making the pilgrimage to Nine Mile, a village in Saint Ann Parish, the birthplace and burial site of Bob Marley. After his death there was a hard-fought battle for control of marketing rights. The site of the family mausoleum would be another component in the exploitation of the man’s legacy. We traveled with Toronto Sun music writer Errol Nazareth. The three of us were a bit suspicious of the pirates. The Marley shop, resplendent in Rasta colors, was covered in a hazy low-flying layer of blue smoke courtesy of a dreadlock Rastafarian behind the counter who refused to acknowledge us. Instead, the three of us browse the premises eyeing the Marley decals, flags, and trinkets when Errol notices a wide open guest book and signs his name. The civil act infuriates the dread man. “Who told you, you could sign that book?” he bellows. We ignore, pay the entrance fee and await our promised tour guide. As uncomfortable as circumstances had become, they were about to turn absurd. A fellow who introduced himself Fuzzy – a cousin of Marley’s was about to march us up the hillside to where it all began. We scale the path from the shop up an embankment to an enclosed steel mesh fence with seven large letters inscribed. “This is where you take your shoes off,” says Fuzzy. He then asks, “What word most describes Cousin Bob’s message to the world?” We stood there waiting for an answer, when Fuzzy points at the letters on the fence, “RESPECT.” Respect Mon. Remember that,” he says. The view from above was spectacular. The valley below? A dream landscape; a place any barefooted child on the planet would have found idyllic. There was enough space to run free and live peacefully above the claustrophobic crime ridden towns below. We paused before Mt. Zion Rock, a collection of stones where Marley meditated and contemplated the spiritual activism that would be the motivation of his compositions and universal message of peace. All around the perimeter the small hands of children slipped through the fencing; pleading for donations. A motel was being erected to house tourists who at that time were mostly itinerant backpackers anticipating picking at heaping vines of ganja and a chance to sample the mythic Rastafarian high life. Last stop was a small church of Ethiopian design where Marley and his other guitar lie buried. Even the final resting place was stamped with trinkets and collectables. Reggae has been a huge part of the King family landscape dating back to 1973 with the addition of Trinidadian bassist George Phillip to my Canadian band. Along with getting a superb musician, George came loaded with ‘45s – those antiquated singles that made every DJ on the planet the go-to music curator. George collected every new recording from Kingston and made sure I had a listen. At first, I couldn’t get past the monotone singing; the dry cadence and deep slap-back echo and reverb. I truly thought someone screwed up in the mix but George assured me the music was revolutionary and there were bands about to bust wide I open; particularly the Wailers who had something far different to offer. As the weeks pass I become more intrigued by the bass patterns and rhythms and begin incorporating into my music. I recorded a second album ‘Dixie Peach’ for Capitol Records and the process of bringing those flavours to each new composition became imperative. George and I shared a few good rehearsals with drummer Penti ”Whitey” Glen and guitarist Jake Thomas, and tried to incorporate the new sounds. 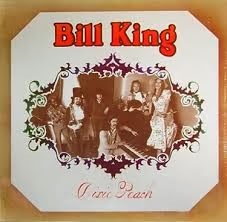 From those 1974 sessions came ‘Sweet Dreams’ and “Blue Skies, Blue Skies, “the latter a staple on Canadian pop radio, drenched in reggae rhythm. George saw I was embracing the music and insisted I come with him to check out a rhythm section he said would ‘turn my head around.’ Secondly, he told me they had a great lead singer/guitarist and drummer who played exquisite soul music. We gathered at the old Masonic Temple at Davenport and Yonge at starting time. I was to learn, there was no such thing as a calendar starting time; only Jamaican time. We listened to a DJ play an endless stack of dub ‘45s and then a refreshment trip to the stairwell. I’m there with my neighbor Jerry Rogero, who quickly adapts to the new climate. “They’ve got weed man,” he says in a celebratory tone. A group of dreadlock men begin searching through their pockets for rolling papers. The weed arrived but with nothing to roll it in. Then someone located a day-old newspaper and all was right. A cone was rolled and fixed, then the weed; sticks, leaves and seeds poured down the funnel. The resulting spliff was at least eight inches long. Then came the lighting of the torch. After witnessing the stand-alone moment a classic country song came to mind – “Don’t Bogart That Joint!” written by the Fraternity of Men. A follow-up song was composed that night, ‘Don’t Part With That Joint My Friend.’ By the time it arrived it had dwindled to a burnt classified. I was cool with that but not pal Jerry. Rogero closely monitored as the joint diminished in size and passed through few hands leaving the rest of us salivating. Jerry then looked at me, mumbled something, then eye-twitched his disapproval. Jackie Mittoo was a legend in Jamaican music circles. On this occasion, the main attraction, except no audience arrived. The band played anyway. One never knows if these events are advertised or just an impulse without a plan. Mittoo was at the centre of his band playing organ with Everton ’Pablo’ Paul drums, Wilfred “Wayne” McGhie, guitar and vocals and George Philip bass. The band tore it up. Paul played solid to the roots reggae with plenty pop in the drums and a relentless groove. McGhee played rhythm guitar with great authority and sang in a soulful raspy tenor much akin to the Deep Southern soul singers that appealed to me. That night I stole Mittoo’s band! Toronto has had a long history with reggae dating back to the mid sixties. 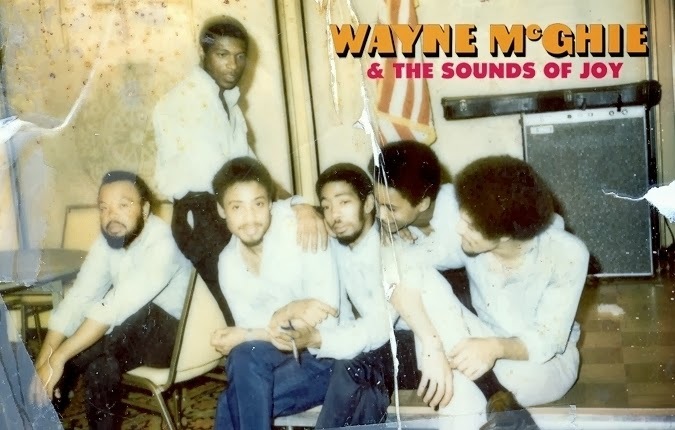 Wayne McGhie just happened to be one of the first expatriates to record roots music far from the Caribbean Sea. The music was mostly heard in social clubs and afterhours joints away from the white music rooms that dotted the midtown landscape. We held our own at the El McCambo playing a weekly gig every couple months then moved on to the Jarvis House, Mad Mechanic, the Roehampton with good to negative reception. The crowds on Spadina embraced – the farther uptown – our music seemed alien and out of reach of the disco crowd. I’ve always played what I wanted; mostly oblivious to commercial trends. In fact, I wouldn’t recognize a hit record even if it came labeled and certified as such. Before a college crowd we played a mix of Marley, Peter Tosh, classics, ska, and soul music. This kept the audience engaged and solidly behind the band. It was Eric Clapton’s cover of Bob Marley’s ‘I Shot the Sheriff’ that got everyone curious about the origins of the music. I was more familiar with Marley’s music than I realized. Somewhere in my personal evolution I did a shop around at Sam the Record Man and bought Johnny Nash’s I Can See Clearly Low which included the hit “Stir it Up.” It would be a few years down the road I would discover that Marley had wrote these songs. They would play endlessly in our home along with Miriam Makeba and King Sunny Ade. Then came Burnin the Wailer’s 1973 breakthrough. “Get Up Stand Up, I Shot the Sheriff, Hallelujah” clicked with a young white audience conditioned to smoking pounds of herb at a Grateful Dead concert. The beat was vastly different, as was the color scheme and dance moves. There was also a growing curiosity with Marley’s embrace of Rastafarian culture. Pablo, Wayne and I recorded four sides; “Sawbuck, Streetwalker, Moonlight Lady, and Nothings Gonna Take You Away.” I played syth-bass on these sessions since George departed for Calgary, Alberta after being diagnosed with a respiratory disorder exasperated by the pollution in our southern basin. HP and Bell released as singles; the instrumental “Sawbuck,” then included “Streetwalker” in the Craig Russell film Outrageous. Chaka Khan would cover “Nothings Gonna Take You Away” after singer Debbie Ash from Buffalo, New York rewrote the verses. Khan included on her album, ‘Naughty.” “Moonlight Lady” would be covered by singer Robert Burke and released in Jamaica in 1980. 1980 Chaka Khan "Nothing's Gonna Take You Away"
With all of this music kicking around the house; our son, ‘Baby Dub’ – Jesse, is catching the vibe. No more than three years old Jesse would situate himself next to Pablo, pick up a pair of drumsticks and impose a few fills on the kit. Jesse would then clutch the chrome hardware and pull himself up the floor tom and rock back in forth to Pablo’s hypnotic groove. It was only a matter of time before we bought him his own set on mini Yamahas (four piece, full kit). From that moment, the drums traveled room to room, wherever people sat for any given moment. Jesse would concertize. As each Marley album arrived the house would rattle back in forth under the influence of reggae rhythms. Then one day an announcement came – Bob Marley would be playing the second stop on his first North American concert in Toronto, June 8, 1975 at Massey Hall. Toronto has had a long affiliation with reggae and Jamaica. The first Canadian Jamaicans were slaves imported to New France and Nova Scotia in 1796. In 1955 Canada introduced the West Domestic Scheme making it possible for young women 18 – 35 enter Canada from Jamaica and Barbados in good health, with a minimum of education and no homeland ties, and work as domestics. After a year they could obtain landed immigrant status; after five – apply for citizenship. 2,690 entered Canada by 1965 and their families followed. Thirty per cent of the black populous of Canada is of Jamaican descent - a large majority living in or around Toronto. The band that night consisted of; Bob Marley (vocals, rhythm guitar) , Aston Barrett (bass) , Carlton Barrett (drums) , Al Anderson (lead guitar) ,Tyrone Downie (keyboards) , Alvin Patterson (percussion) , The I-Threes (backing vocals; Marcia Griffiths, Judy Mowatt and Rita Marley). The anticipation and the good vibes that blanketed Massey Hall that memorable night, was spine- chilling. There were kids from age three years old all way to seniors in their eighties fanning away the humidity. It seemed more akin to a Sunday morning revival. Women were dressed in their finest, the kids smartly clothed. It was obvious Marley’s music was something way beyond the pop ditties that temporarily rattle the brain and flitter away. These were songs that connected – songs that had an eternal feel to them -- songs with a soul, a message and a language all their own. People don’t memorize and cling to novelty numbers much longer than owning the latest must-have toy. People will identity with greatness and embrace if there is goodwill and purpose behind the art and remain loyal for years to come. This was the Natty Dread Tour, in support of the new Bob Marley & Wailers album Natty Dread released in 1974 later celebrated in Rolling Stone Magazine’s top 500 albums of all time. The album was a mash-up of writers, from the I-Threes to rhythm section joining in. Marley set the tone for the grand occasion by making a surprise appearance in the aisles leading to the main stage. He paused, kissed and hugged, shook hands and sported a broad contagious smile that imprinted itself on every one of the 2,500 faithful in the room. Ticket prices that night? $7.50! From the downbeat the band played with the precision of a well-drilled military ensemble. They skank, ska, and reggae to a relentless groove, with guitarist Al Anderson applying the precise amount of blues-colored fills. The sound system couldn’t handle the bottom- weight of Aston Barrett’s thunderous bass lines. It was a night nearly destroyed by severe distortion. The saving grace – Bob Marley – his charismatic stage presence and arresting dance moves. "You rock so, you rock so, you dip so, you dip so, you skank so, you skank so, and don't be no drag! You come so, you come so, for reggae is another bag!" - Lively Up Yourself. Marley and band followed a set list that included: “Trenchtown Rock, Slave Driver, Concrete Jungle, Rebel Music, I Shot the Sheriff, No Woman, No Cry, Natty Dread, finishing with Get Up, Stand Up.” Massey Hall seemed to shift slightly as if struck by an earthquake; one that would emit a groundswell of aftershocks until the last person evacuated. The seats rattled and feet stomped. Everyone screamed for more. Then Marley struck one last time. Tears, tears, tears. Everywhere you looked there were broad smiles and tears. The song is one of Marley’s earliest singles -- one remembered by a nation of immigrants and held close to the heart. It was the best of humanity on display. Mothers and fathers, grandparents and children embraced and swayed to the easy reggae beat and sang along. The prodigal son had come home! We sensed then all was not well with Wayne. He spent a month with us but stayed mostly secluded in the guest bedroom. As the years pass he would be diagnosed schizophrenia. It wouldn’t be long before he became homeless drifting from neighborhood to neighborhood – porch to porch; and then he vanished. Then, some thirty years later Seattle based record company Light in the Attic began a search for McGhie locating the following year. A compilation of his early sides from 1969 that included musicians Jo-Jo Bennett, Everton Paul, Alton Eliis, Ike Bennett, Jackie Mittoo and Lloyd Delratt was released to world-wide critical success. To this day McGhie lives under the loving eye of his sister. The sun beat down on our suburban household. Early mornings were filled with the sound of Bob Marley & the Wailers. 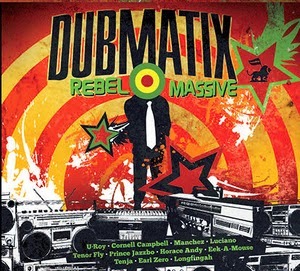 The albums Natty Dread, and Exodus played endlessly until Kaya hit the stores. “Easy Skanking, Kaya, Is this Love,” bounced off the walls of our house reverberating through the tall pines and isolated woodlands. Kristine would drop the needle first thing in the morning before a long cup of coffee and replay until darkness prevailed and the sound of battling insects on the walls outside the entrance ways. By the early ‘80s we were back in Canada and a return visit to the El McCambo. Pablo was back along with bassist Brad Campbell who worked alongside me in Janis Joplin’s Band. We recorded a couple sides with engineer George Semkiw. 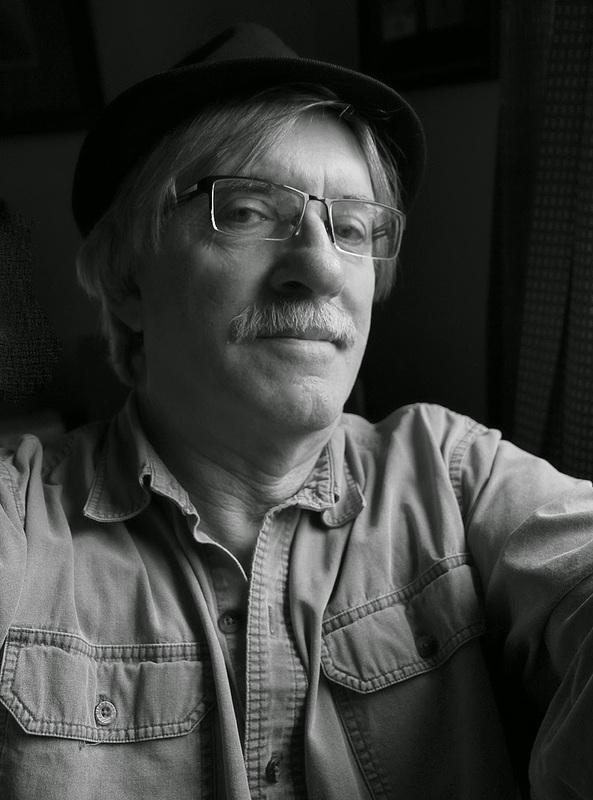 “Stranger,” with Platinum Blonde’s Kenny McLean and session singer, Paul Henderson sharing vocal duties and was released as a single to radio. While all of this was transpiring young Jesse was getting his recording chops together in the family basement. 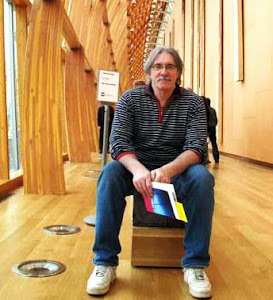 He built his own studio using sound baffling meant for a dumpster when CHUM-FM studios were undergoing renovations. 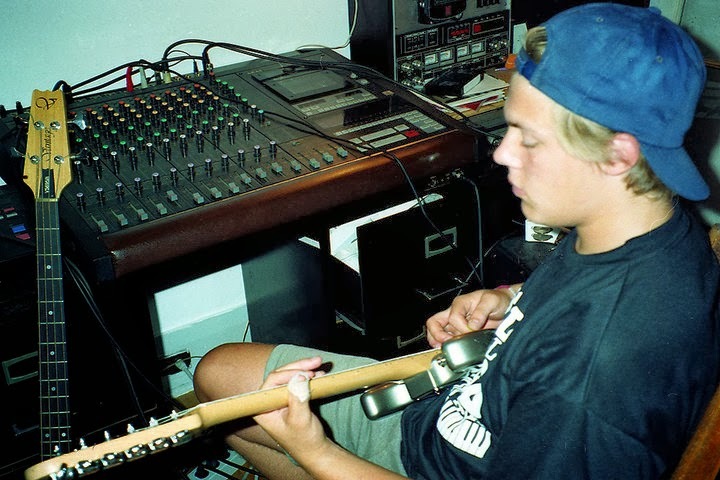 He also had access to a prototype AKAI 1212 recording console which used Beta –style recording tapes. The next few years were spent experimenting and learning the technical workings of the console and learning to play four instruments. Jesse was taken with a sweet “radio friendly” song called “Pass the Dutchie,” by Musical Youth. This was the early days of MTV and videos. Jesse caught the bug. Then it was the Clash and Marley that sustained his attention. 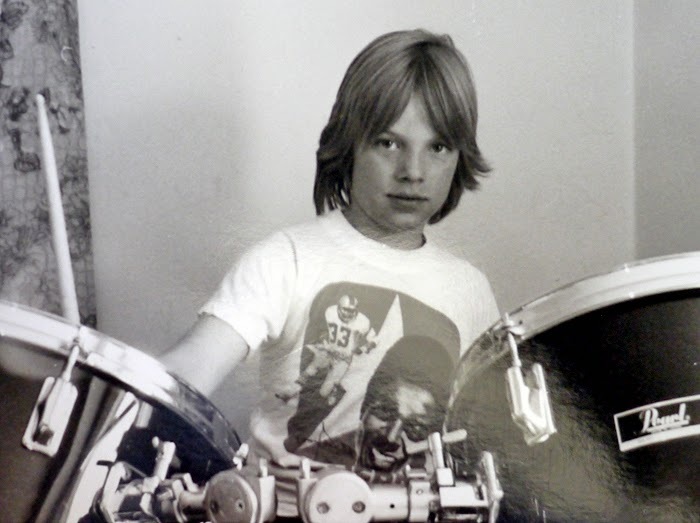 When he turned seventeen he joined the Canadian pop/ska unit One, playing drums. After a short stay he moved on to Bernie J & the Galaxie Band, playing bass and mastering the Marley songbook. From eighteen to twenty-four on to a band called Revalation/Family Man. With Pablo now focused on his renovation business he passed on his prized set of Ludwig drums to Jesse. Through the next decade Jesse played drums on flatbed trucks; soca, ska and reggae at Caribana, and immersed himself in Jamaican music and culture. Pablo gave Jess a copy of King Tubby Meets the Uptown Rockers and that clarified the direction and sound he would pursue. By early 2004 all the years formulating a sound and experimenting Jesse debuted his independent recording Campion Sound Clash and a rebranding; Jesse ”Dubmatix” King. That would be followed by Atomic Subsonic in 2006, Renegade Rocker 2008, Juno award winning System Shakedown 2010, a fifth Juno nomination for Rebel Massive 2013. All of the music remained rooted in the historic tradition, Trenchtown rawness and vibrant cultural landscape of Jamaica. The albums include such eminent artists and practitioners as the late Alton Ellis, Michael Rose of Black Uhuru, The Mighty Diamonds, Horace Andy, Eek-A-Mouse, Linval Thompson, Sugar Minott, Ranking Joe, the late Wayne Smith and others. There were two films; the documentary RasTa: A Soul’s Journey produced by Marley’s granddaughter Donisha Prendergast and full length feature Home Again, detailing the abuse and sordid treatment of Jamaicans deported back to their homeland. Jesse provided and wrote several tracks for the films. Our big reggae family came together in 2013 with the formation of the Rhythm Express. Both Jesse and I formed a collective focused on classic ska and reggae. A band with big voices; Selena Evangeline, Gavin Hope and Stacey Kay; bold horns; Chris Butcher trombone and Bobby Hsu alto saxophone. Everton ‘Pablo’ Paul- drums, Dubmatix, bass, Jorge ‘Luis’ Papiosco, percussion and pops King on keyboards. Two singles have made their way into the mainstream of alternative radio; “Black Woman” written by the I-Threes Judy Mowatt and “Hold Fast,” scripted by Gizelle Smith. 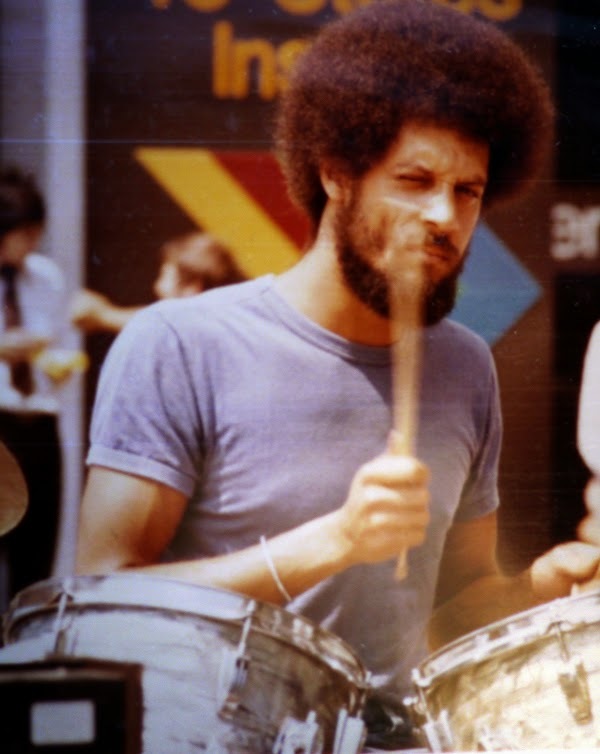 That set of drums that put all of us in motion in 1974 and loaned to Jesse by Pablo, stayed in the family sixteen years until Pablo formed the band Jamaica to Toronto and returned to playing publicly. Jesse had the set overhauled and restored to prime shape. To this day, it’s the sound of roots reggae on many a family recorded side. Much like the drum set that familiarized the planet to that Stax Record Memphis soul sound, Pablo’s kit still packs plenty history. Marley left a profound mark not only on the commercial entities that use his music to lure sunbathers; the street-hawkers and merchants who capitalize on his legacy; but also, on those who seriously took his music and message to heart and share a reverence for the innovative rhythms and words that still resonate with the masses . We, as an extended musical family, celebrate 40 years of organ riffs, bass patterns, beats that sustain, and plenty of easy-skanking. We all still live on the Isle of Marley.